My name is David Aldaz and welding has always been a huge part of my life. Inspired by my father, I began welding at the age of nine. In 1977 I started working for Tomasini Iron and Steel Fabrication as a licensed welder and cutter. In 1980 I was promoted to foreman and my responsibilities included welding, cutting, installing and measuring rails. I remained in this position until 2004, when sadly, owner Clyde Tomasini passed away. 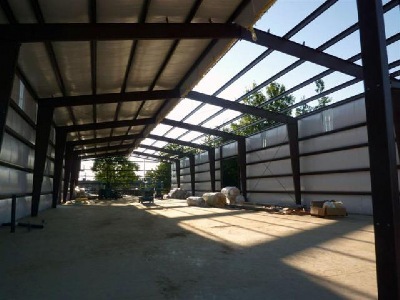 In March 2005 I had the option to purchase the property and used this opportunity to create Aldaz Specialties, Inc.
Aldaz Specialties offers a variety of iron and steel work: gates, spiral stairways, window and door guards, fences, handrails, trailers, structural steel beams, brackets and more. With over 35 years of experience I take great pride in my work and always strive for the highest quality. We are located at 5033 NE 112th Ave. in Portland, Oregon.